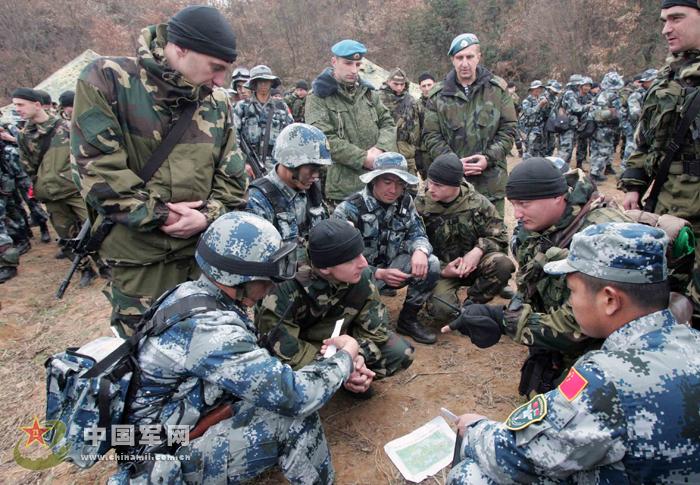 BEIJING, Nov. 26 (Xinhua) -- Chinese and Belarusian airborne troops started their second joint training drills on Monday in China, according to China's Ministry of National Defense. The joint exercise will be conducted in accordance with the exchange and cooperation programs agreed upon between the two militaries. 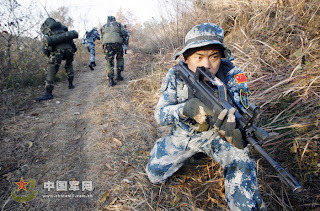 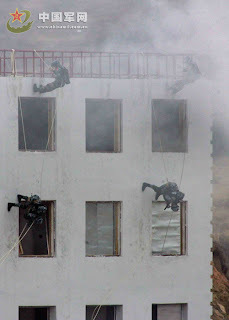 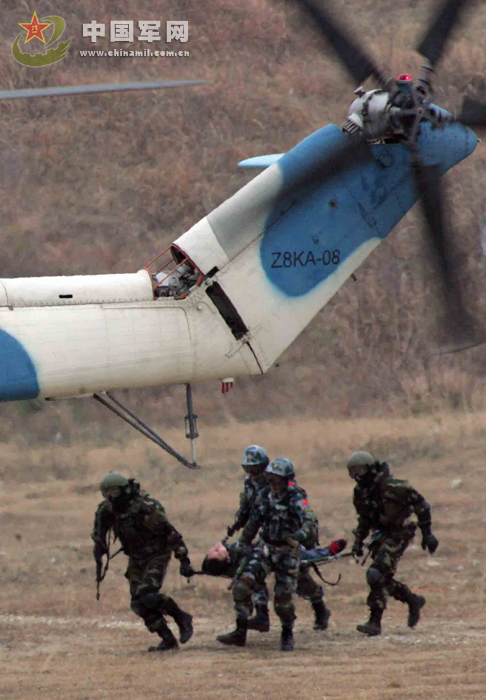 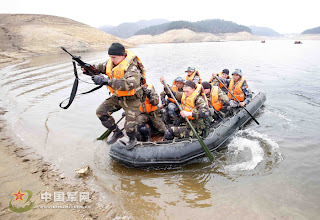 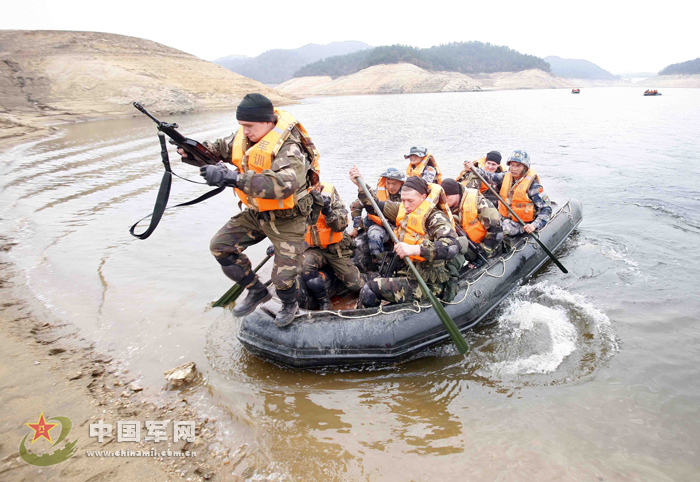 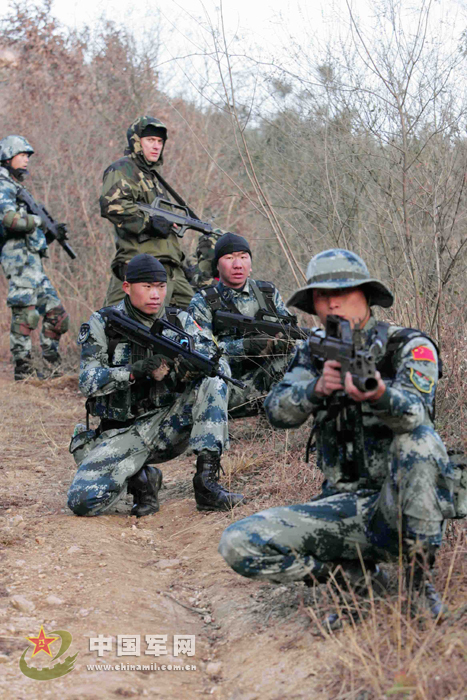 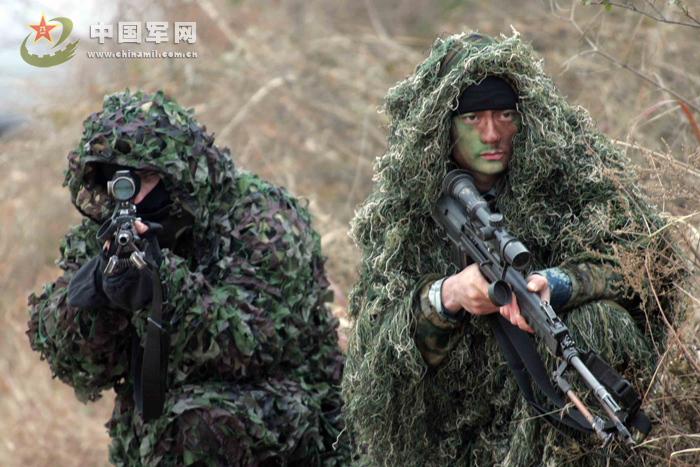 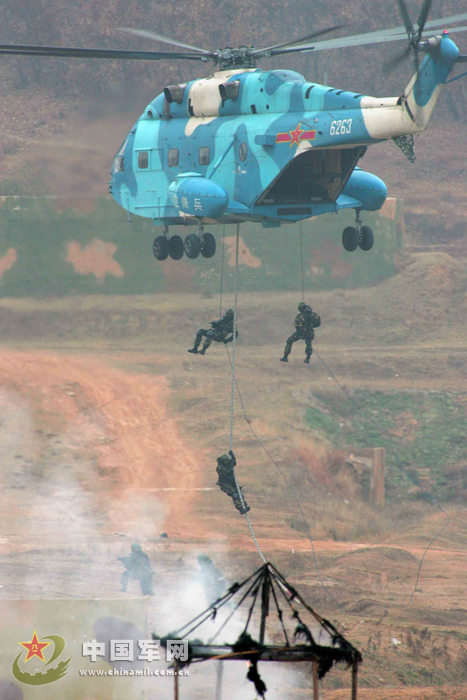 During the 12-day exercise ending on Dec. 7, parachuting special forces from both sides will accomplish the planned task in two stages, consisting of mixed group training and integrated exercises, the ministry said. 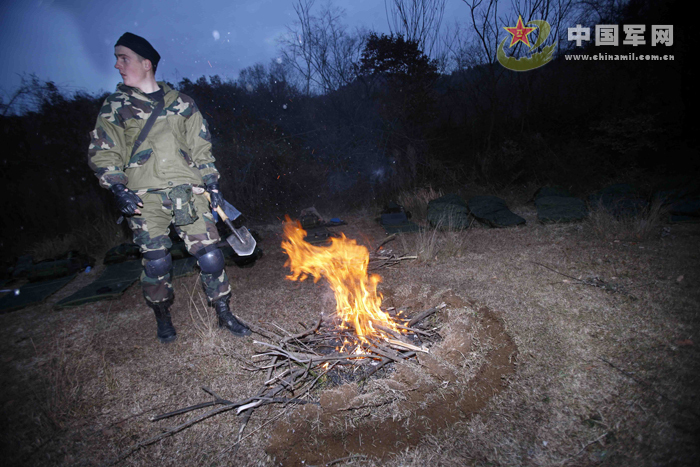 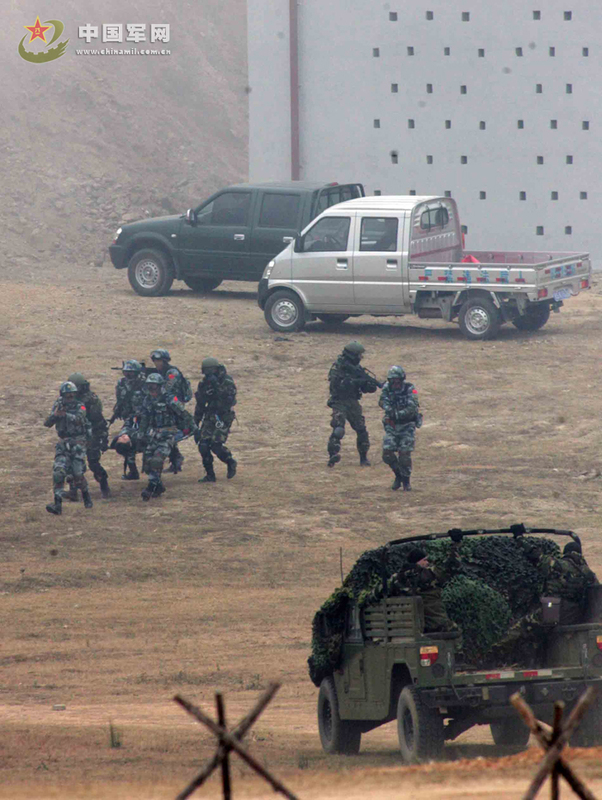 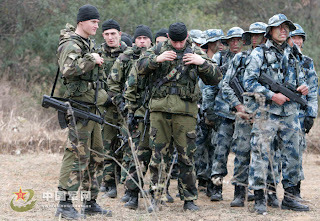 China and Belarus conducted their first joint training drills for airborne troops in July 2011 in Belarus. This morning, I saw some PLA Hong Kong garrison drills in the Sai Kung Sea. 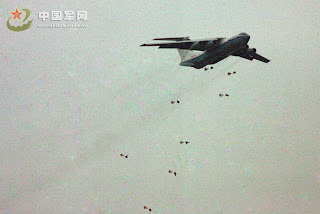 I took photos and sighted an aircraft/drone that I could not identify. 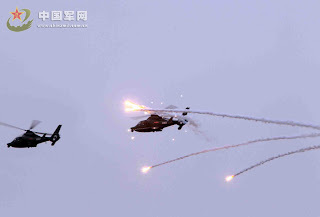 There were at least 2 helicopters involved, and one missile boat. 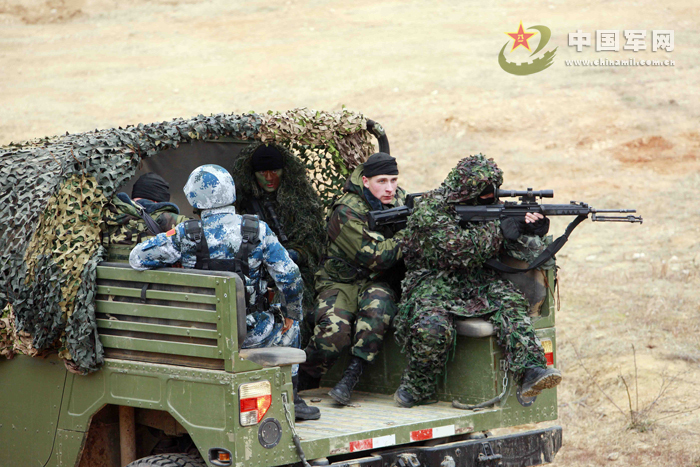 Thyat is some strangely colored camo. 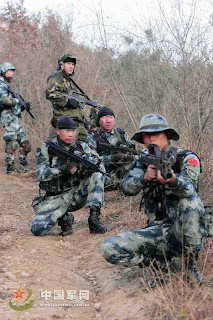 Is there a good reason why they're using blue colored camo when the Belorussians are using the more typical green? 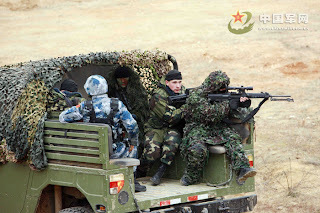 What's with the blue camo?